Although they secured the FA Cup trophy last season, it was a disappointing campaign for Chelsea after they dropped out of the Premier League’s top four. That of course means no Champions League football at Stamford Bridge next season, and after falling way short of the standard set in Antonio Conte’s first season in charge, which secured the league title, reinforcements are arguably needed for the Blues. The FA Cup winners finished a whopping 30 points adrift of champions Manchester City, and although they did boast the fourth best defensive record in the top flight, they managed just 62 goals in 38 league games to suggest that their problems are at the other end of the pitch. According to the Evening Standard though, they’ve submitted a £35m bid for Juventus defender Daniele Rugani while Newcastle United’s Jamaal Lascelles is also linked with a move. Perhaps more importantly though, midfield and attacking talents Anthony Martial, Leon Bailey and Jean Michael Seri are also said to be on their transfer radar this summer. 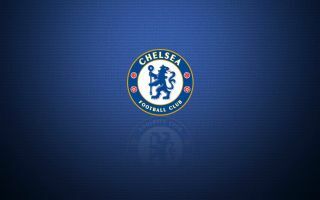 In turn, that would represent a lot of changes at Chelsea, which raises its own question mark as they’ll have to potentially bed in a number of new faces which could take time to click into place and lead to a tricky start to next season. Nevertheless, particularly with reported targets such as Martial, Bailey and Seri to bolster their attacking options and make them a more potent threat in the final third, it would address key issues in the current squad and so time will tell if the Blues get what they need this summer to improve on last season’s showing. As noted by The Sun, there is still ongoing uncertainty over Conte’s future at the club, and so that will surely need to be sorted out first to offer more clarity.